Other sizes can be customized!!! 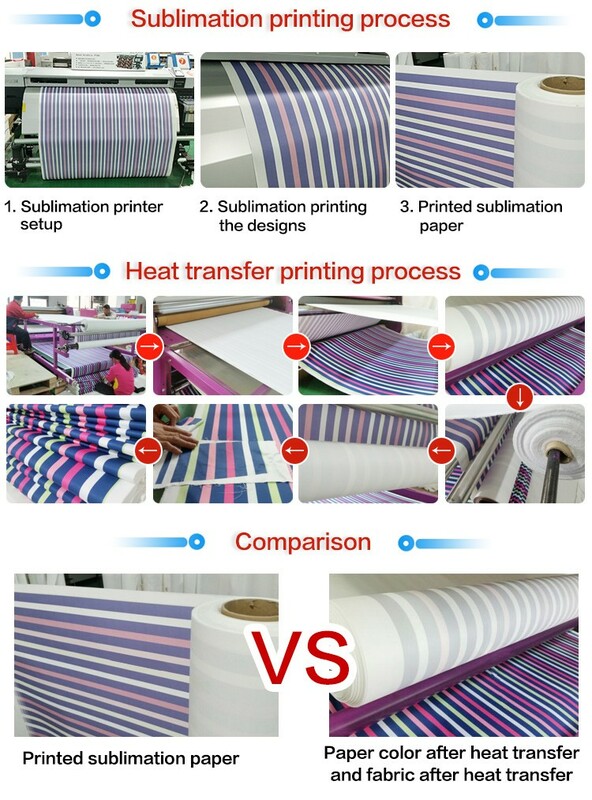 Heat sublimation transfer printing is using sublimation ink, sublimation printer to print image such as portrait, landscape, text etc by reversal way on the sublimation transfer paper, and then heated to a temperature of about 200 ℃ with heat transfer equipment, sublimation ink which is on paper will be in the form of gasification into substrates, so as to put the paper on the vivid images to transfer to textiles, porcelain, porcelain plate, metal material of a new technology. 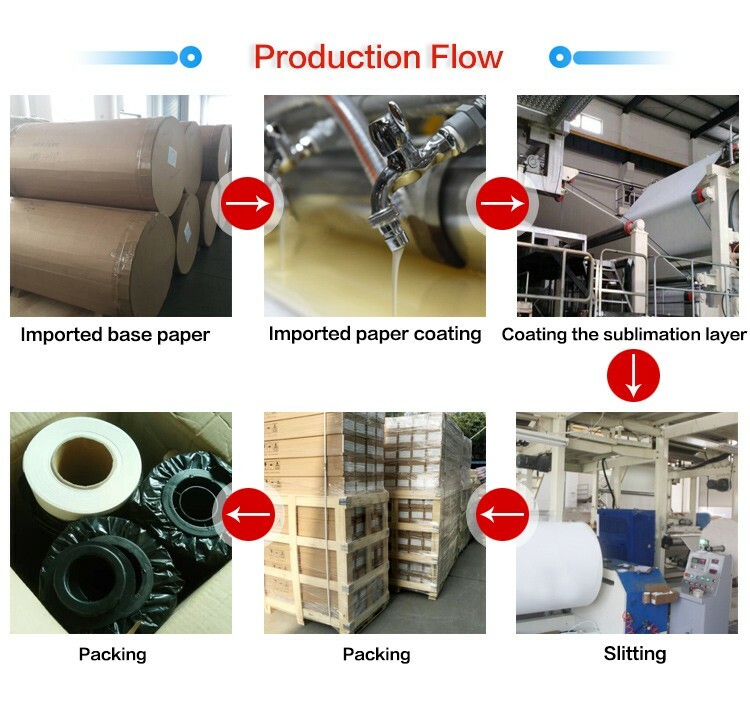 Must use sublimation ink, this kind of ink made of disperse dye inks, it will produce sublimation and substrates with dyeing after high temperature, good quality ink is no plug nozzle, he sublimation ink color is vivid, good stability. Adjust the concentration of the color in the computer, avoid the ink is too dry, need to che the effect of transfer after adjustment. 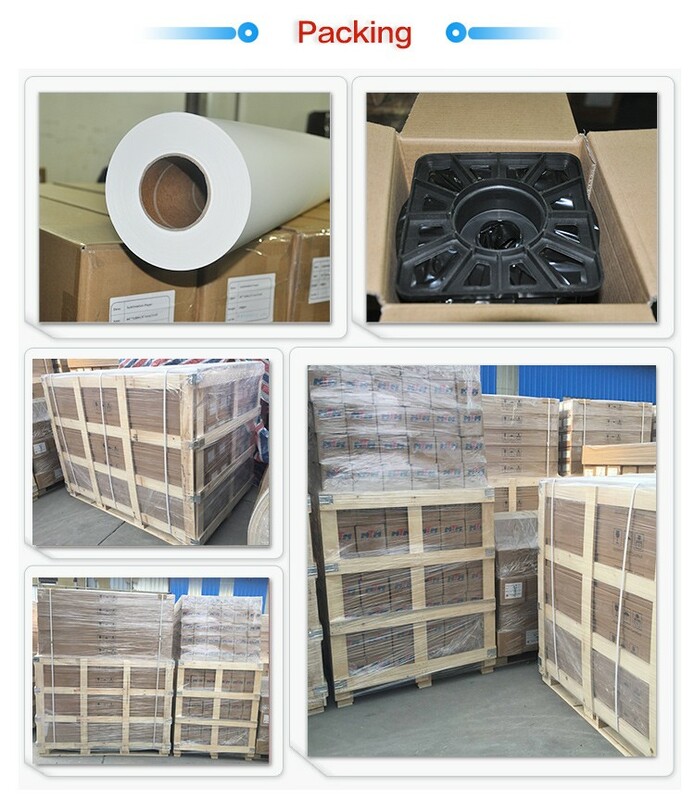 Heat transfer in the temperature range of about 165 ℃-220℃, time of about 10 to 30 secnds, you should try small sample printing before the formal mass transfer. 1) Sublimation is one of the very few methods you can print full colored images onto hard surfaces; 2) It has a relatively low learning curve compared with screen printing; 3) Almost unlimited colors to choose from. Thousands of colors can be produced with sublimation (even if you choose a 4 color printer). And it doesn’t cost extra to add additional colors to your design. (1) Cost savable business. No need to stock all materials. 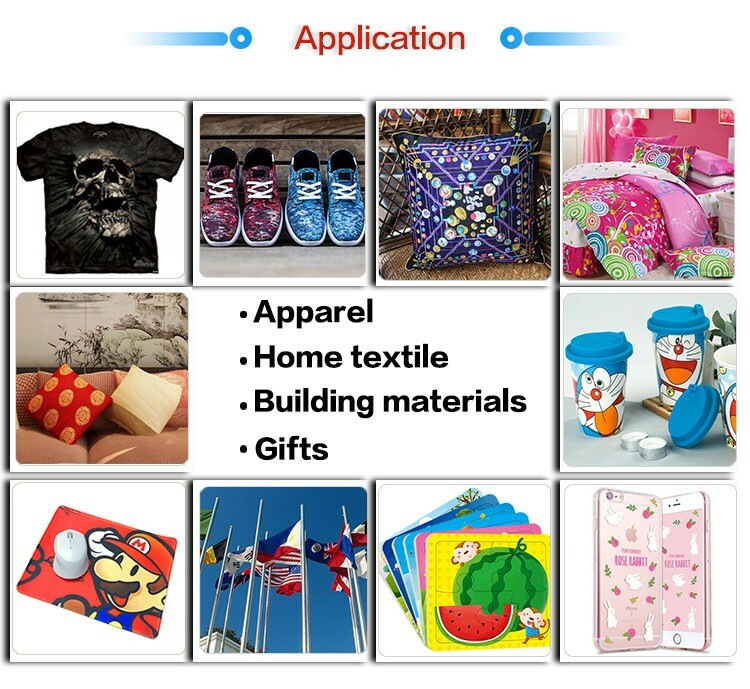 Only requires Computer, printer, sublimation ink, heat transfer machine and materials (2) Easy to make money in shop. 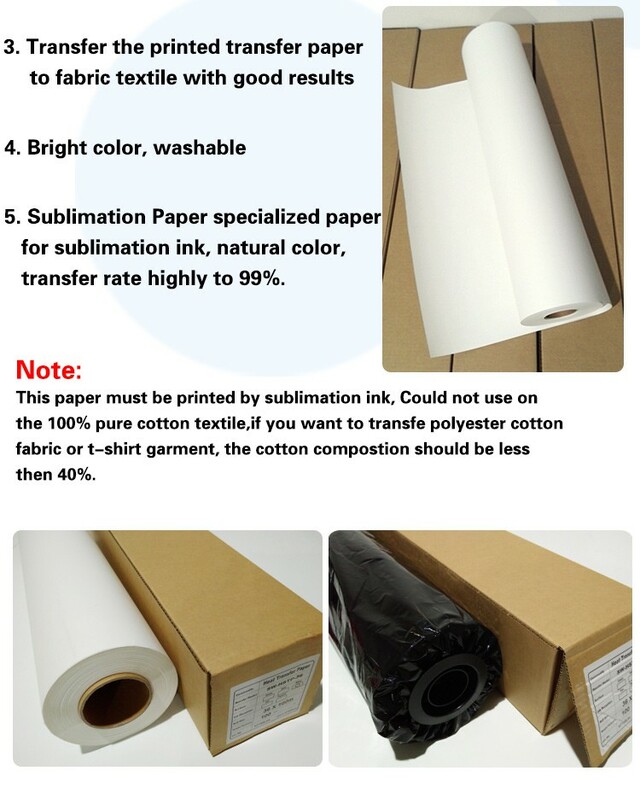 Printing and heat transfer time is very short (3) Dye sublimation ink has very good brightness, good coolness and it's not easy to decolorized (4) You can make very small quantity but many different inquiries with easy. Description: *Fast dry and highest ink release. *Work on all inkjet printers. *Best color performance by over 92% transfer rate. *Extremely diverse range of sizes and lengths to select from. *Can be applied to fabric,cups,ceramic,metal,flag,and many DIY designs﻿.